I think of Halloween as the official beginning of the candy season. We are in the midst of it now, and it goes through Valentine’s Day and Easter. Because I’m a sweetie, I shared my most recent candy samples with my sugar tooth sister and her candy crazed clan. Fiona’s Sweetshoppe started out as an actual candy shop. It was a tiny spot in downtown San Francisco where my husband always held out hope there might be an orange cream bar waiting for him. Now Fiona’s is selling speciality candies from England and while the shop is closed, the candy is much easier to find. "I love black licorice, and these are a nice mild version that even people who aren't fans of licorice would like. Soft, mild, leaves a sweet aftertaste in your mouth." "If Zotz and lemon drops were combined, what a wonderful world it would be. Love them. Could be a little fizzier, but yummy anyway. Does not have the typical lemon drop scratchy texture on the outside. Kind of a smooth sandy texture outside, it feels much smoother in the mouth than an American lemon drop. Then a layer of hard candy with a fizzy filling inside. Happiness that comes in lemon flavor!" "These were the most unusual of the bunch. Crumbly pressed powdered sugar texture with a hard chewy center. Not very identifiable strawberry flavor, but not overly sweet either. Package says toffee, but there was nothing toffee about it. More like Starburst or Hi Chew texture, but I think Brits call anything chewy like that toffee. N. said it was kind of like fondant. Powdery and chewy at the same time." "Strange texture. Kind of like soft cartilage. Not really chewy, and they had a dried outside that made them seem stale even though they weren't. I was not a fan. No particular flavor, and no difference in flavor between the colors. I'd choose gummy bears or swedish fish over these guys. Best comparison - stale turkish delight." I'll just add, despite not being anyone's favorite, they still got eaten. Pastiglie Leone is a candy maker that dates back 150 years. The company is known as "The King of Sweetness." What started as a small confectioner's shop in Alba has become a major enterprise, offering treats using many of the same recipes of the past. Their candy is available at AG Ferrari. Regal Torino hard candies are wrapped in colorful, old-fashioned paper. There are a total of fourteen flavors, including pear, peach, strawberry and anise. My sister the licorice lover was a big fan of the anise flavor and also said her family particularly enjoyed the apple, quince and mandarin. These are not your run of the mill hard candies. Fruit Pulp Cubifrutta (fruit jellies) These square jelly candies are covered with sugar and come in a mix of flavors, including apricot, peach and pear, and are made using all natural ingredients. They are very sweet! But my sister said they were very good and extremely popular with her kids. They also come in wild berry and citrus flavor collections. Baratti & Milano is a famous chocolatier from Turin, a city famous for both coffee and chocolate. Their candy is also available at AG Ferrari. Giandujotti This little triangular hazelnut chocolate treat comes wrapped in foil. The richness of the hazelnut complements the chocolate and creates an ultra creamy texture. The foil makes them feel a bit elegant and they are available in bags or gift boxes. This very well known chocolate maker from Perugia is famous for their “baci’ or kisses. I’ve been a fan of baci with crunchy hazelnuts in them and topped with a whole nut, since I tried them when I worked in a gourmet shop. Now Perugina is offering bars in both milk and dark chocolate. Of course, I prefer the dark but it has a layer of creamier lighter chocolate on top so you get the dual textures. 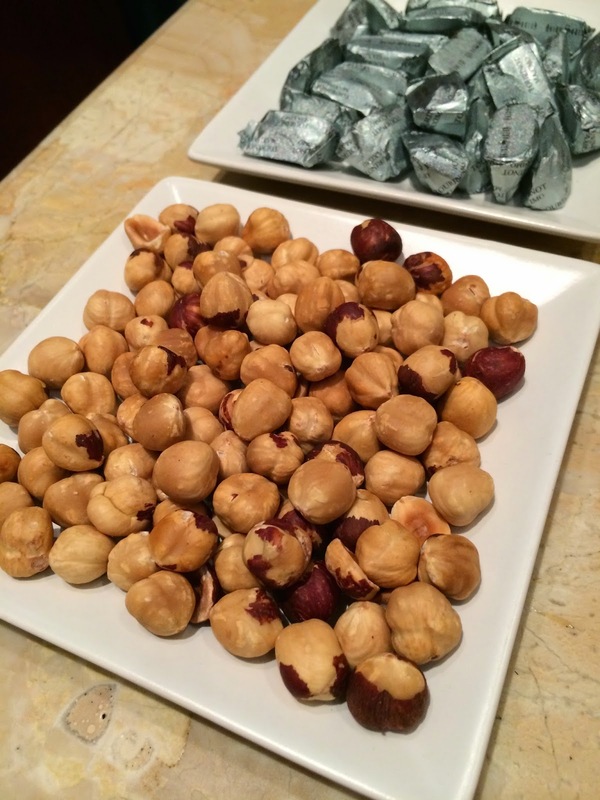 My sister felt they weren’t quite the same as the original baci, but other than the fact that they don’t have the whole nut to bite into, the flavor and texture is very similar. This is one of the most luxurious brands of chocolate in Italy. Their chocolates are hard to find and very special. 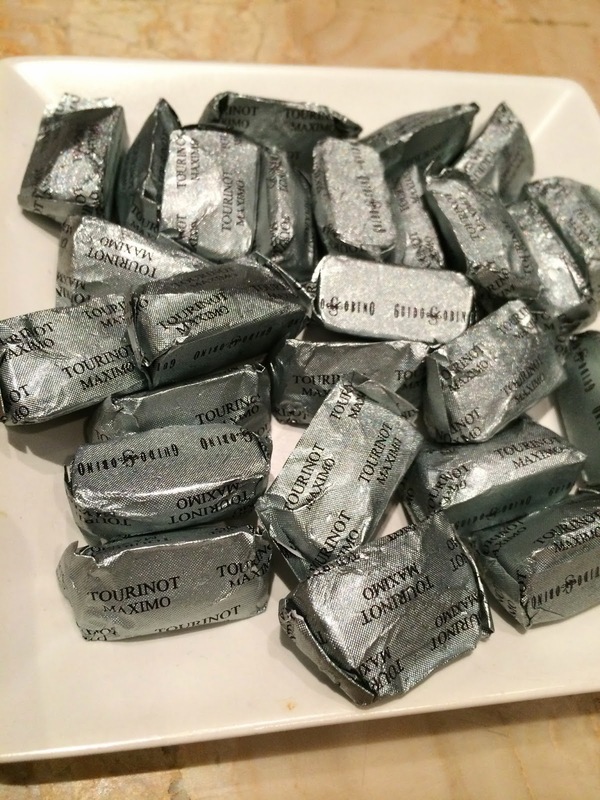 Giandujotto from Guidio Gubino are absolutely exquisite, not for kids but for connoisseurs. They use the finest quality hazelnuts and chocolate crafting confections by hand that are unbelievably luscious. Even more amazing than the giandujotto are the cremino al sale. 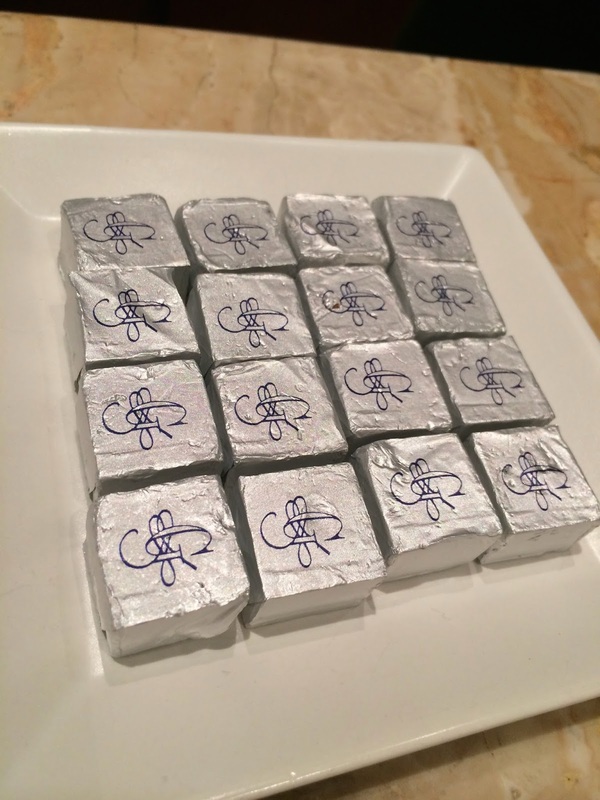 These delicate square are milk chocolate with hazelnut paste, a bit of Italian olive oil and a touch of sea salt. Well worth seeking out. You can buy them individually at CocoaBella in the shop, or choose them when putting together a box selection online. Disclaimer: My thanks to Fiona's Sweetshoppe, AG Ferrari and Perugina for providing samples and CocoaBella for inviting me to a tasting in their shop. I was not monetarily compensated for this or any other post.